With it series of Quad core Nvidia Tegra 3 mobile processor it seems like Nvidia is serious about getting into the main stream market for ultra powerful and efficient tablet processors. Finally we have the world's first ever device from ASUS powered by the much talked about Nvidia Tegra 3 processor. 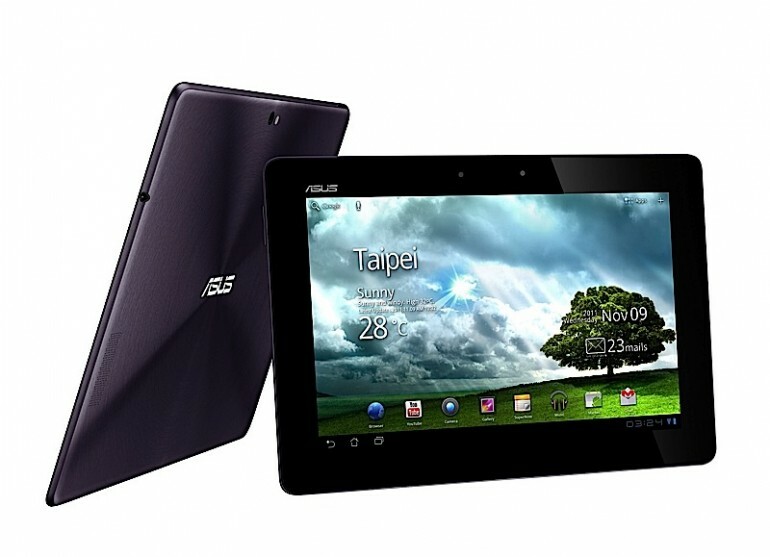 ASUS unveiled it's first quad core powered tablet/netbook called the 'Eee Pad Transformer Prime' the successor of the Eee Pad Transformer. 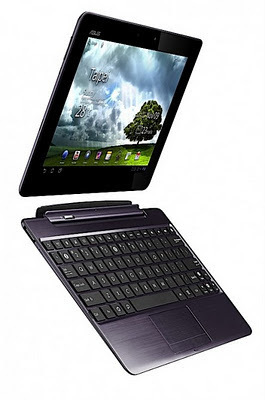 Now the main reason these tablet devices are called 'Transformer' is the fact that they can be used as a Tablet or a net-book by docking the tablet to the keyboard; although the keyboard docking is sold separately. 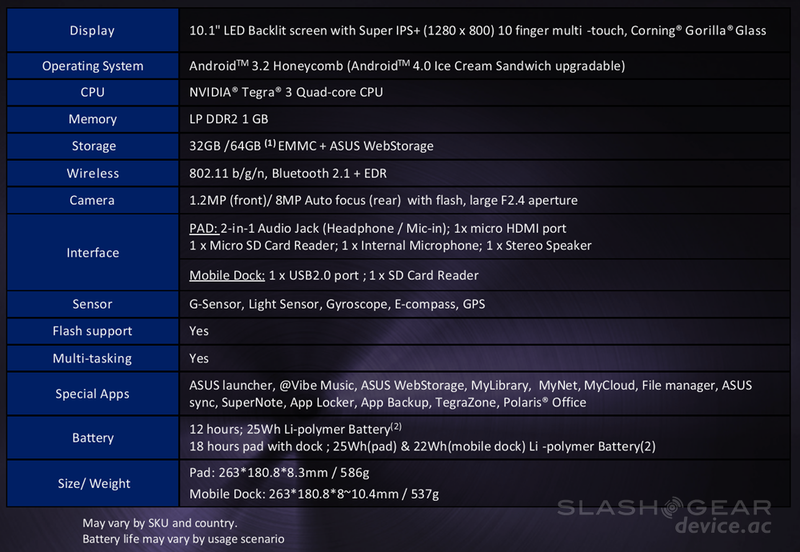 Getting into the details of the new 'Eee Pad Transformer Prime', the device is a hardware marvel, it is basically a beefed up version of its predecessor. Along with packing the Tegra 3 quad-core CPU it features a 12-core GeForce GPU and Variable Symmetric Multiprocessing (vSMP) technology, it sports 1 GB of DDR2 RAM and will be available in two versions with 32 GB or 64 GB of onboard storage plus expandable via SD card. It has a 10.1-inch, 1280 x 800 pixel of resolution, the screen is protected by a Super IPS+, Gorilla Glass panel. The screen has a wide viewing angle of 178-degree and 600 nits of maximum brightness. Other specs include an 8 mega-pixel rear facing camera with auto-focus, LED flash and a 1.2 mega-pixel front facing camera. Another place where the new Prime beats its older brother is the thickness and slim profile, Transformer Prime is just 8.3 mm thick and weighs in at 586 grams (1.29 lb), compared to the original Transformer which is 12.9 mm thick and weighs in at 690 grams (1.5 lb). Another place where Prime wins to against its older brother is Battery life. Prime has an ultra efficient Tegra 3 and a 25 Wh battery which gives it a battery life of 12hrs compared to 9.5hrs in the older version and a 18hrs of battery life when docked with the keyboard compared to 16hrs in the older version. All the good thing being said the device is not yet available, it will only start shipping in December worldwide running on the Android Honeycomb 3.2 OS; although it will be upgradable to the new Android 4.0 (ice-cream sandwich) via OTA. 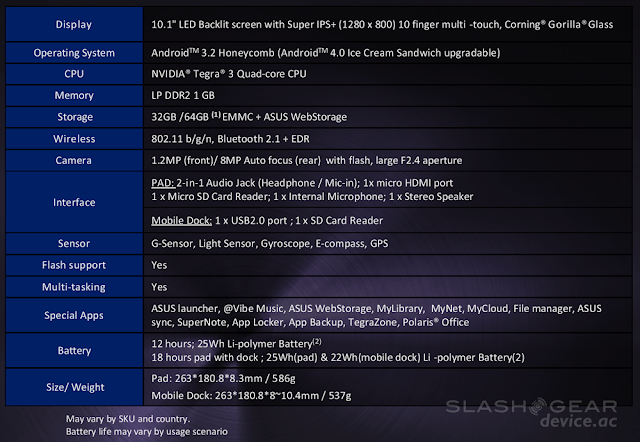 Talking about the price, The 32 GB model is said to be priced at US$499, while the 64 GB unit would cost $599. The optional mobile keyboard dock will be available for an additional $149 USD.